Within whole plant foods are compounds that have been researched and proven to not only fight deficiency type condition, but also nutritionally helps with age and overuse related issues such as: arthritis, inflammation, diabetes, macular degeneration, heart disease, high blood pressure, Alzheimer’s, dementia and cancer. Research Scientist named these compounds phytonutrients. Phytonutrients most common weapon against disease is their antioxidant abilities. 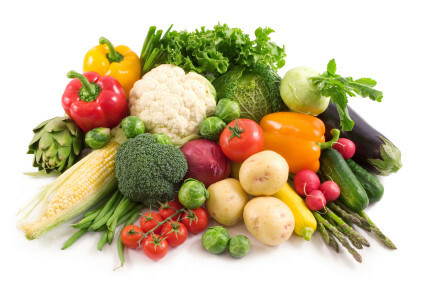 The following is a list of the most popular phytonutrients guaranteed to be in optimal fruits & veggie plus, and the conditions they are proven to help with. CAROTENOIDS­­­­­­—Beta Carotene, Lycopene, Lutein and Zeaxanthin: proven to help with macular degeneration, heart disease, colon, rectal and stomach cancers. FLAVANOIDS-–Resveratrol; (found in red wine) proven to help with lowering blood pressure, lessening plague build up, balancing blood sugar, increase longevity, starving cancer cells, prostate cancer and heart disease. INDOLES—Indole-3-carbinol (13C); proven to help with deactivating tumor growth and slowing disease. ISOTHIOCYANATES—Sulforaphane: proven to neutralize damaging effects of smoking or second hand smoke and lessens risk of breast tumors. MONOTERPENES—Perilly: proven to reduce damage to muscles and lowers risk of cancers. ORGANOSULFUR COMPOUNDS­­—-Allylic Sulfides, Ajoene, Allicin; proven to lower cholesterol and triglycerides, kills microbes that cause colds, flu and yeast infection, and kills H. pylori bacteria found in the stomach that cause ulcers and stomach cancers. PHENOLIC COMPOUNDS— Polyphenols, Ellagic Acid, curcumin; proven to help with: Alzheimer’s disease, smoking hydrocarbons, brain function, cataract reduction, inflammation and arthritis including rheumatoid. SAPONINS—proven to help with stimulating the immune system, lowering the rate of disease like cancer.